"We are a family dedicated to restoring homes and improving the quality of life one customer at a time." Our American Waterworks Team takes our mission statement very seriously and lives by that statement each and every day. 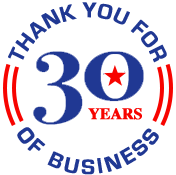 Sounds cliche, but it's the truth and it shines through with each and every one of the 20,000+ satisfied customers American Waterworks has served over the past 28 years. The difficulty that we face among our competition, is that sometimes a company's mission statement is a written reminder of what the company ought to do, rather than a reflection of what the company actually does, so I am posting today to prove that American Waterworks is no ordinary contractor and we truly are WORTH THE WAIT! 1. Our Team is trained weekly on how to better serve homeowners and we take this very seriously. Our Team knows that if you're calling us, you have a challenge in front of you. So we've taken measures to ensure we're providing the premium level care and expert level services you need to meet the challenge. No matter the job -- we aren't going to feel good about the hard work we've done until you're happy. 2. We are a family-owned company that is grounded in offering dependable, authentic service. Customers hire us knowing they'll get the experience and expertise necessary and the personal touch residents are looking for to make their homes whole again. 3. After over 28 years of innovation and 30 patents - our competitors can't have what we offer you, and they don't. They may be able to get to you sooner, but a quick fix isn't a lasting solution. Our products are simply not available anywhere else. Keep in mind that products are only as good as the people installing them. We are humbled and honored to be entrusted to perform top-quality work for you. We are in the business of making whole the places where you live and work. We'll do it right or make it right. That's the American Waterworks difference.